We help you get the best SMS Alert App like SMS Reminders. 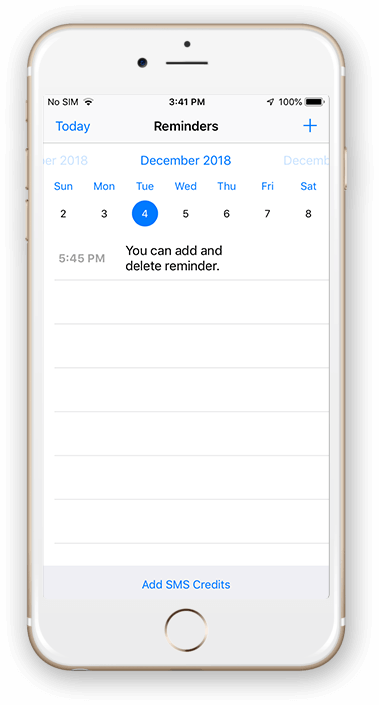 SMS Reminders is an automatic SMS reminders app designed for a client. The idea that the client shared was to build an app featuring scheduled SMS Text message reminders. This application is developed to work well with iPhone & gives an ease to the users to schedule tasks & appointments. SMS Reminders with a personal SMS alert system sends a notification to the user to keep them updated. To get notified, the user will have to add SMS credits i.e. 20 SMS for $0.99.